Do you want to know your score among the other groups? You can find your ranking in the scoreboard here. Did you enjoy the game? Here you can find the points of interest that you have visited. Please share your opinion on Tripadvisor portal.. 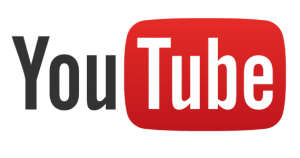 Here you can find the discount coupons for other selected entertainment activities in Prague. How was you team compare to others? Vojanovy sady is a public park in Prague’s Lesser Town quarter. It is sometimes considered to be the oldest garden in Prague, because the history of the garden dates from mediaeval times. 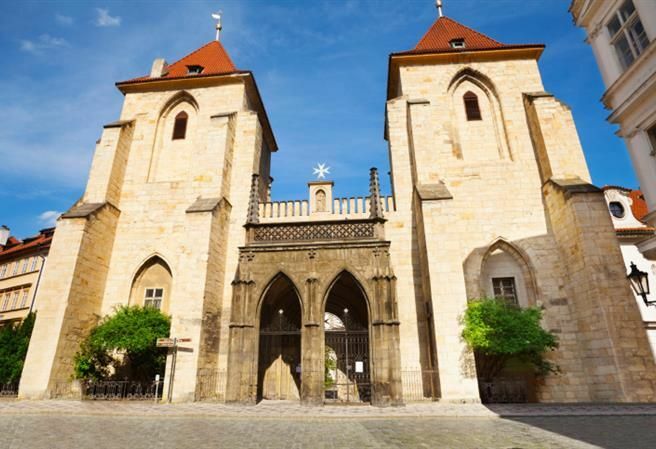 Its space was permanently defined by two palaces from the north (the Thurn–Taxis Palace and the Windischgräts Palace) and the St. Joseph Church from the west. The church is part of the cloister of Barefoot Carmelites. At the end of the 18th century, the garden came to the ownership of the Congregation of Jesus (an order also known as English Ladies). It slowly transformed from a utilitarian orchard to an English-style park. Currently, Vojanovy sady is a beautiful garden primarily intended for relaxation. The first records regarding this area come from the 14th century. 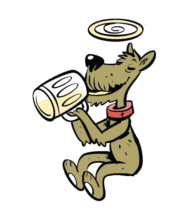 The name originates from 1781 when a brickworks owner, F.A.L. Herget, had a new factory building built here. 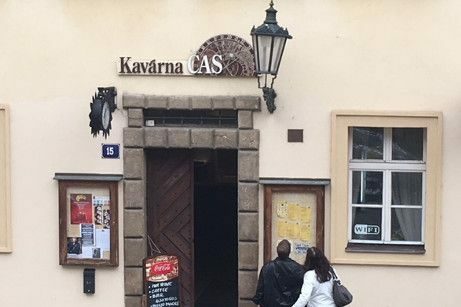 Aside from the terrace and its beautiful view of the Charles Bridge and the Vltava River, since 2005 the location has offered an exposition of the Franz Kafka Museum and a small boat landing that serves as a popular location for weddings. This aristocratic house once was the tallest in the neighborhood and often referred to as ‘High House’. The ancient feel of the location is highlighted by its close vicinity to the Bishopric Court. Construction activities most likely began on this location after the grand fire of the Lesser Town and the castle area in 1541. The building housed a restaurant from the 1920’s. The current owners have continued this tradition since 2004 by opening a café. The name of the café, meaning TIME, was selected due to the exhibition of historic and unusual clocks within its interiors. This is one of the oldest mills in Prague, in use since the 15th century, particularly for milling barley, until it burned down in 1896. 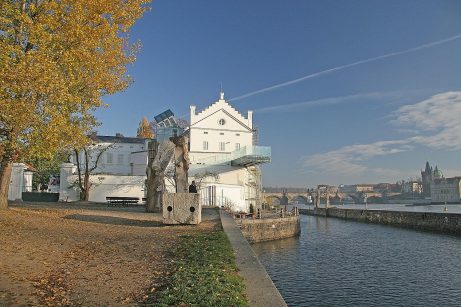 Currently the building of the former Sova’s Mills on the Kampa Island is used for the display of modern art. The National Theater has been aptly nicknamed The Golden Chapel. Over 2.5 kilograms (5.5 pounds) of 24-carat gold was used for gold-leafing the roof. The first version of this bronze sculpture, by British sculptor Kaivalya Torpy is located in a port in Norway. A year later, another piece was unveiled in the Agung Rai Museum in Ubud (Bali), with a ceremony attended by the royal family. It is a sculpture of Sri Chinmoy that perfectly embodies the ideal of harmony. 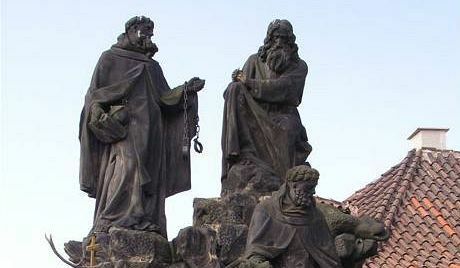 In 2009, this work was cast in the Czech Republic and donated to the Prague museum. 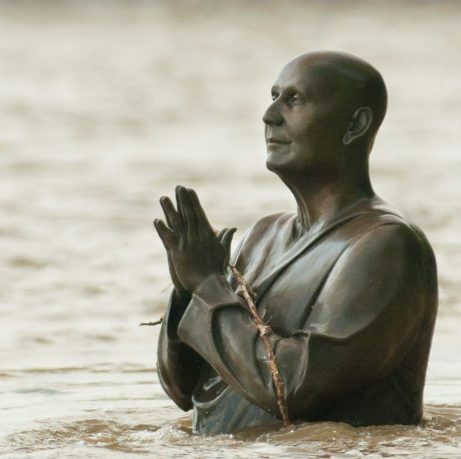 Interestingly, the sculpture had drawn its most attention from Praguers during floods, when it indicated the rising level of the flood-water. This tree of unusual size and age is a significant feature of the landscape. It is the remnant of the former Velíkovská Garden. 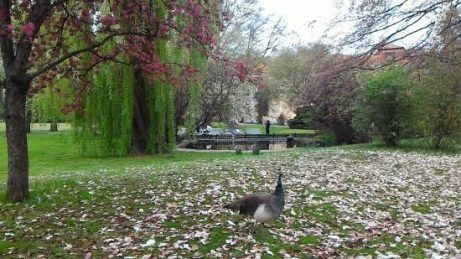 Kampa Island was unified into the current single park as we know it today only at the turn of 1940’s and 1950’s. 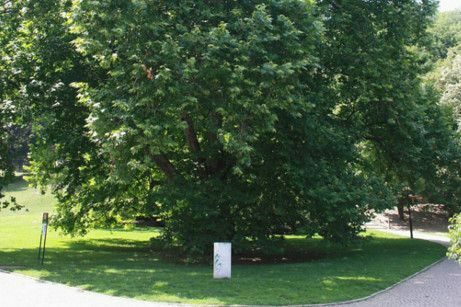 The ancient plane tree is the largest tree in Kampa Park and said to be over 200 years old. The star atop the Our Lady of Victory Church, with its adjoining cloister of the Barefoot Carmelites is located on Karmelitská Street in the Lesser Town. 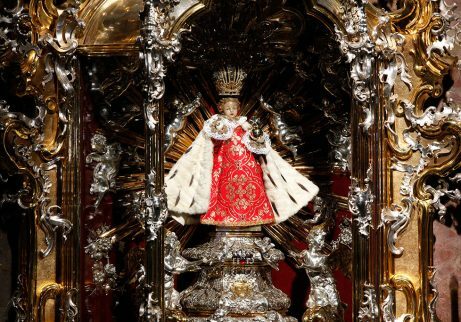 The church is particularly renowned for a small sculpture of the Infant Jesus of Prague and is often referred to by this name. The supposedly miraculous sculpture of the infant is regularly ceremonially dressed, highlighting its humanity. As a mother might dress her child, the Carmelite sisters dress the baby Jesus. The Maltese Knights order was formed during the 11th century in Palestine to protect Christians against pagans and to gain control of the Holy Land, which was then under Islamic rule. Today’s shape of the church reflects the torso of an unfinished Gothic temple, the construction of which was initiated by King Charles IV. According to the Maltese Knights and order sources, the full original name of this temple was “Church of Virgin Mary under the Chain of the End of the Bridge.” The church is also used to ordain new members of the order and as a burial site for various significant members of the order. A graffiti-covered wall dedicated to singer John Lennon, which began featuring writing and paintings during the 1970’s. 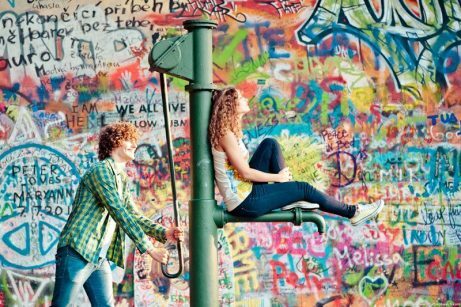 Often referred to as Prague’s Wailing Wall, it mostly featured chalk-written love poems. After the death of Lennon in 1980, someone used an empty stone plaque (likely formerly a part of the public water supply system) to create a symbolic tomb of John Lennon. An unknown author wrote in chalk “For John Lennon” and drew a cross. 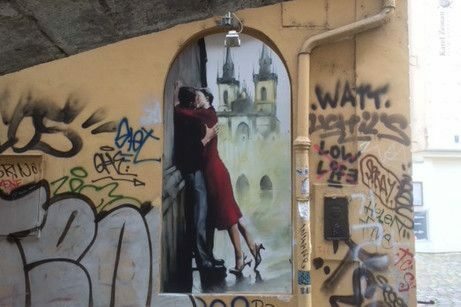 This later developed into an elaborate graffiti work and the illegally decorated wall was an unusual instance of freedom of expression during the Czechoslovak Communist period. 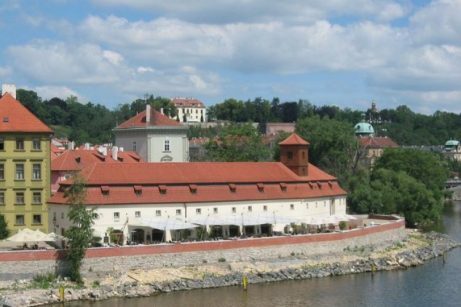 A mill built along the Vltava River channel, later named Čertovka. It was founded by the Order of St. John of Jerusalem (later the Maltese Knights order) during the reign of King Vladislav I, along with the foundation of the church and monastery. 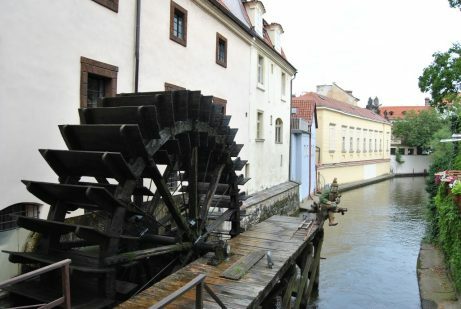 In 1526 the mill belonged to miller Štěpán (Stephan) and was often referred to as Štěpánský or Štěpánovský. The mill kept changing owners and, among other things, served as a workshop for cleaning feathers. The eight-meter (26-foot) mill wheel is over 100 years old. It was reconstructed after a fire in 1938 to a level that, in case of need, it could continue its function today. Containing 30 sculptures and sculptural groups, this extensive group with a cave behind bars depicts St. John standing on a rock with broken shackles. 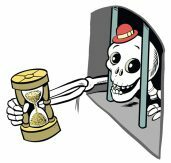 The bottom part is composed of a jail cell with suffering Christians guarded by a dog and a charismatic Turk with a scourge (originally a spear) that bears elements of caricature. This popular figure gave the sculpture a nickname – the Prague Bridge Turk. The bridge is 515 meters (0.3 mile) long with a width ranging from 9.40 - 9.50 meters (30-31 feet). The height of the stone walkway is 13 meters (42 feet) above the normal level of the Vltava River. It is angled three times across its length and slightly convex against the current. The bridge is formed by sixteen arches. Its construction was launched during the conjunction of the Sun with Saturn and the date of laying the foundation stone was established by a series of odd numbers (sequence 1-3-5-7-9-7-5-3-1) to July 9, 1357. 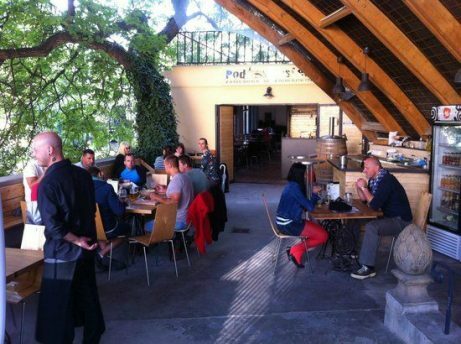 A cozy garden bar and grill with a unique location immediately under the arch of the Charles Bridge. A large and beautiful walnut tree grows on the edge of the outdoor seating area, feeding on the water from a portion of the Čertovka channel. The restaurant also serves as a small boat landing with a ferry to the other side of the river. 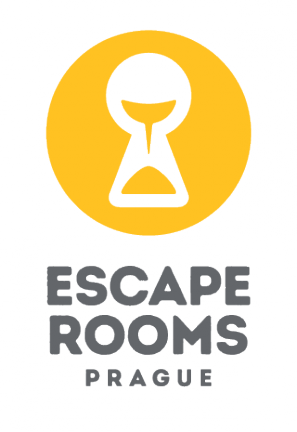 Just add the word "citygame" as a gift code during the reservation. 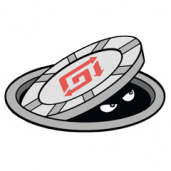 You will automaticaly receive the discount.